Welcome to the Bed Bug Report. We are excited to be a leader in profiling hotels in Australia who are proactive and poison free. To make your next hotel stay one where you are free from attacks by bed bugs, please see a map of recommended hotels in Australia. To order a report on hotels in Australia who are using bed bug barrier products and are proactive and poison free, please enter your contact information below and we will email you the Bed Bug Report. When people travel they expect a nice clean hotel room and the comforts of home. This is what brings people back to the same establishment time after time and creates a successful hotel. What they aren’t expecting is to travel home with a suitcase full of Bed Bugs that are now infesting their home. It’s not always apparent that the hotel has a Bed Bug problem until the guest has checked out and returned home. People don’t always know they’ve been bitten until the bites start swelling up. 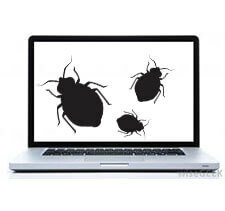 By now it’s highly likely that Bed Bugs have travelled home via the luggage. The health effects of Bed Bugs, especially on children go way beyond just itching. These creatures are nocturnal and can cause skin rashes, asthma attacks and allergic reactions. The psychological effects include stress, anxiety and insomnia. But when you consider the health effects caused by the usual pesticides that treat these critters you will be shocked. According to the U.S. CDC there has been a spike in illnesses caused by the pesticides used to treat Bed Bugs. Common symptoms included headaches, dizziness, nausea and vomiting, the CDC said. These are just the symptoms you can see. In treating Bed Bugs one of the most common products used by Pest Controllers is Insect Growth Regulators (IGRs). This might limit the infestation but what everyone should know is that exposure to IGRs can lead to infertility in humans. There is no question that when it comes to the dangers of pesticides this counts as one of the most serious. Hotels across the U.S. are now dealing with a rash of lawsuits brought by guests who’ve suffered Bed Bug bites. A woman in New York filed a $7 million dollar lawsuit against a Holiday Inn in North Carolina after being traumatized from 25 bedbug bites. Think of the lawsuits that could be filed by guests who’ve suffered illnesses related to the pesticides used to eradicate Bed Bugs. It is too terrible to contemplate. Hotels in the U.S. are taking this problem very seriously and Australia is following suit. The answer has to be to take a proactive approach and stop the problem before it begins. 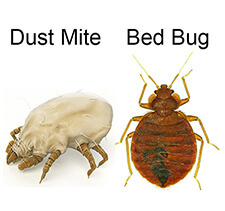 Use safe, non-toxic methods to eliminate the potential of a Bed Bugs infestation. Your guests will appreciate knowing that you’ve taken steps to protect them against this very annoying problem. & poison free please enter your details below and we will email you a Bed Bug Report.